Anyway, figured I’d update everyone on what’s happened since the last post about Yosemite and our disappointing decision not to travel through British Columbia. I’m a bit tired and I’ve got lots to catch up on, so I hope it’s not disappointing that I’m not making too much of an effort to make this post a good creative nonfiction read. You can go back through some of the older posts about the trip for better reads, if you haven’t done so yet. Here’s a bit of what’s happened since Yosemite. Driving through Nevada wasn’t my idea of fun, but we made it through the giant piles of snow to Idaho and then to Alberta. Before leaving Idaho, we stopped at Craters of the Moon National Park. Much like 10 years ago when Dan wanted to see the beautiful colour of Peyto Lake and found a frozen lake instead, the interesting features of Craters of the Moon were covered by snow and not visible. But the visitor center was open, and we were able to learn a bit about the area and how volcanic activity shaped its landscape. 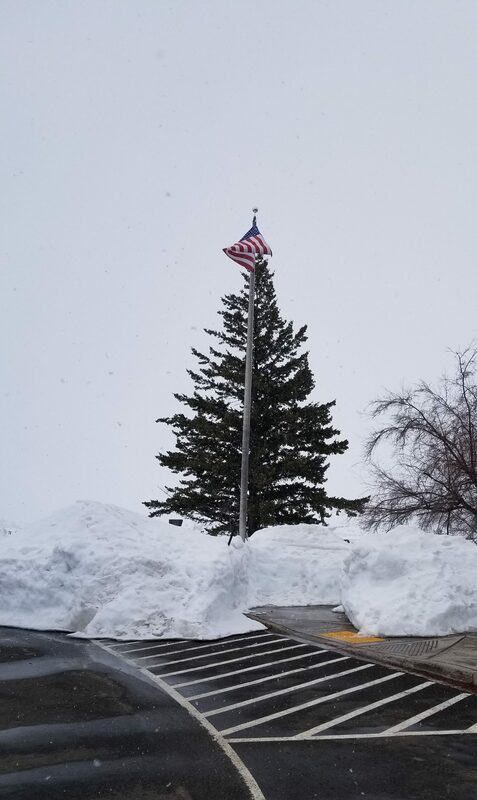 After a short visit at the national park, we headed to Twin Falls, Idaho, where we stopped in at the library so I could get some work done. The windows, floors, furniture, and details in this library were all a treat for the eyes. There were areas for community building and areas for quiet study, and a great children’s section where the kids had a tonne of fun and K-girl read a pile of books as usual. 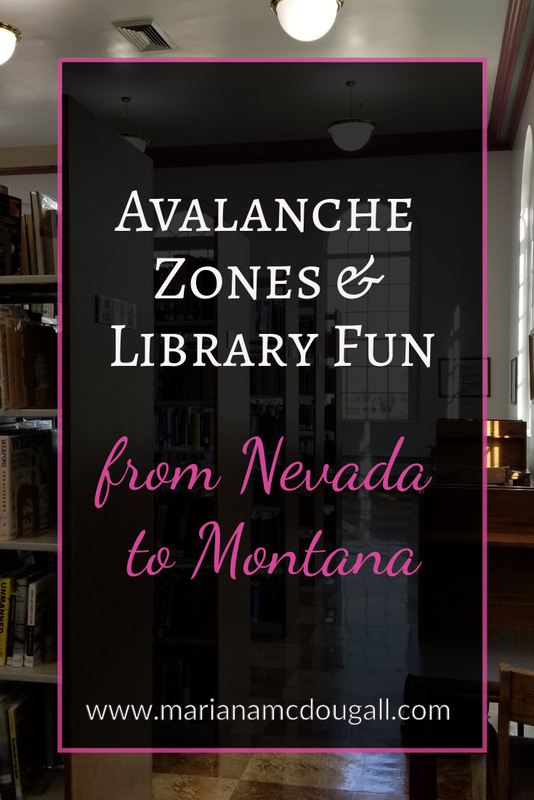 After Idaho we headed to Butte, Montana, where we visited yet another library, I got tonnes of work done (finished the very tedious process of formatting my book for Smashwords), and the kiddos had a great time playing in the children’s area. A unique feature of this library is the art gallery on the third floor. The coolest part of that? The children’s librarian’s art was currently being showcased, and it looks like she’s a MultiTalented person as well. Not only does she do a great job as a librarian, her art is eclectic, and she dabbles in various mediums. Her artwork was very beautiful and interesting, and I’m glad I took a little break from work to go see it. Our last stop in Montana was Great Falls, where we went to what else? Another library. I’m really thankful for the opportunity we have to visit all these wonderful knowledge centers, community hubs, and where we get to see a bit of the communities we visit. I’m also thankful that my children are always excited to go to a library wherever we are. 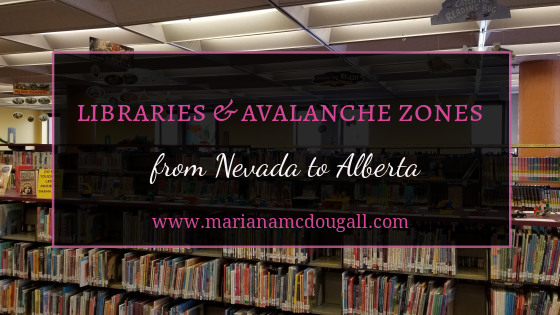 We finally made it to Alberta, where we visited some friends, had a nice lunch at a Tim Hortons (after not visiting one for 5 months while we toured the US), got together with family, and got to see yet more libraries. I’ll tell you all about that portion of the trip in the next post, so stay tuned! What’s your favourite thing about the library?